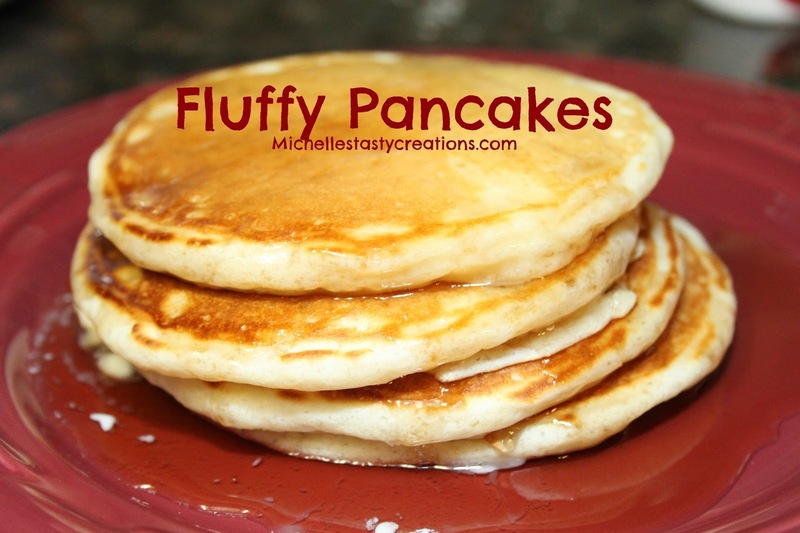 While looking at some of my favorite blogs on Saturday I spied these wonderful looking pancakes on Living the Gourmet and just had to try them this morning. Well my pancake lovers, these are the most delicious pancakes I've ever had. Thank you Catherine for the wonderful recipe. I hope you all give them a try and let me know how you like them too. I will be making this recipe from now on whenever I make pancakes. Sift the flour with the baking soda and sugar into a medium bowl, set aside. In another bowl, or even the measuring cup the milk is in mix the egg, milk, vanilla and melted butter. Heat a griddle on med and when it is hot, ladle the batter onto the griddle. When the little holes begin to appear flip the pancakes. Only flip once. They are ready when they are pillowy soft on top.